Commercial Grade ECO Wool - DUO Dual Density split seating by Chair Solutions is manufactured to comply with Australian Standard 4438. AFRDI Level 6. or 135kg person under normal use. The Split Cushion system comprises TWO INDEPENDENTLY UPHOLSTERED sections in the seat (a firmer foam at the front and a separate softer foam section at the back) allow the two pointy pelvic bones to sink into the softer foam section. 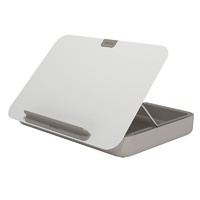 Upper body posture is supported through positioning the pelvis between the back lumbar support and firmer front cushion, enhancing support and comfort. 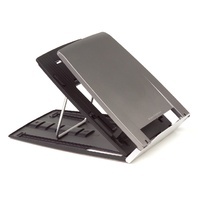 A dual density posture support seat pan is recognised by ergonomic consultants, and health professionals as providing the best solution for posture support, comfort, task focus and productivity. 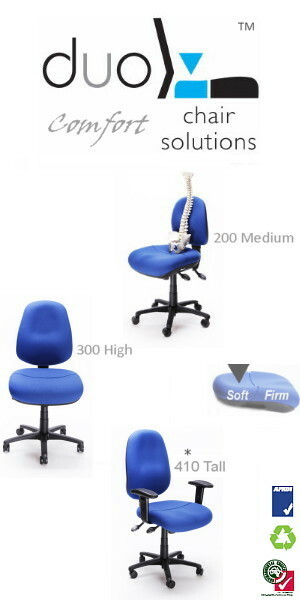 The majority of Australia’s top 100 companies now use posture supportive chair solutions either as their primary office chair or an aid for staff with back or work related injuries. 1. 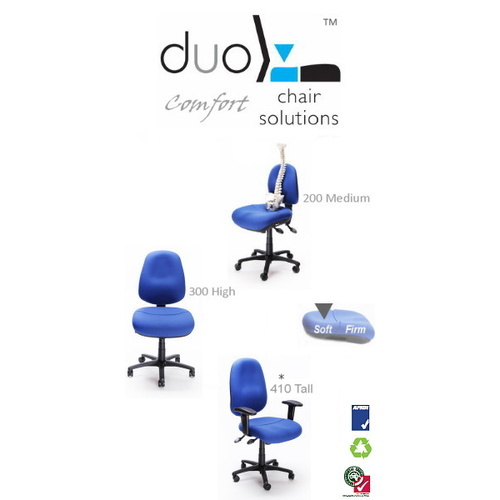 DUO Dual Density split seating by Chair Solutions ensures that your body is maintained in the optimum support position throughout the day, enhancing your performance and well-being. 2. 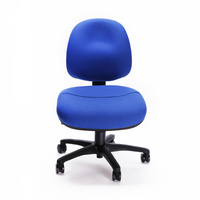 Softer foam at the back of the seat supports and holds the pelvis in the correct position where the firmer cushion the front of the seat discourages user from sliding forward. 3. 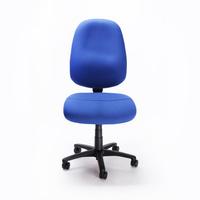 Moulded seat design encourages the user to sit with legs slightly apart thus creating a wider base of support. The 'waterfall' edge improves blood circulation behind the thighs. 4. 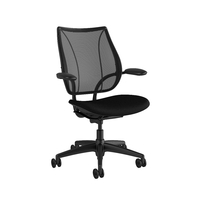 Pronounced lumbar support for maximum spinal comfort, full lumbar height adjustment. 5. 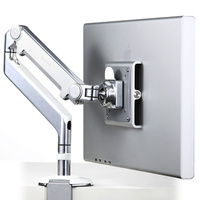 Full ergonomic adjustment ensures maximum comfort and minimum fatigue. Controls adjust seat height, back angle. 6. 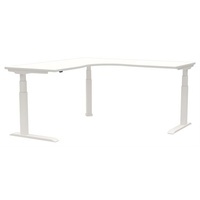 Height adjustable arms to suit varying work needs to permit close work at a desk. Pricing allows for upholstery in Pure New Commercial Grade ECO Wool - please advise fabric and colour choice when ordering. 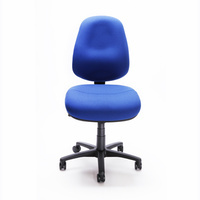 ergonomicoffice have CHAIR STOCK ready to supply and upholstered in Commercial Grade ECO Wool.